Vacuoles are membrane-bound organelles found in the cells of both eukaryotic and prokaryotic organisms. Vacuoles play many roles but primarily function to protect the cell from potential harms. Like a cellular vacuum cleaner, vacuoles patrol the cytoplasm, waiting to engulf any potential threats in their lipid membrane and expel them from the cell. Vacuoles also serve to contain and transport materials necessary for the cells functioning, like a cellular delivery service. Vacuoles were first observed in plants in 1676 by Dutch biologist Antonie von Leeuwenhoek. Leeuwenhoek, who is also credited with discovering the first microorganisms, thought that vacuoles in plants were largely empty. In 1776, Lazzaro Spallanzani was the first to identify specialized vacuoles in protozoa, but he incorrectly identified them as respiratory organs. 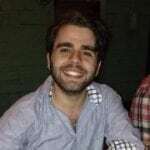 It was not until in the 19th century that scientists really figured out the function of the vacuole as a cellular waste remover and storage container. Vacuoles consist of a solution of enzymes and other organic components surrounded by a bilipid membrane, just like the outer membrane of the larger cell. 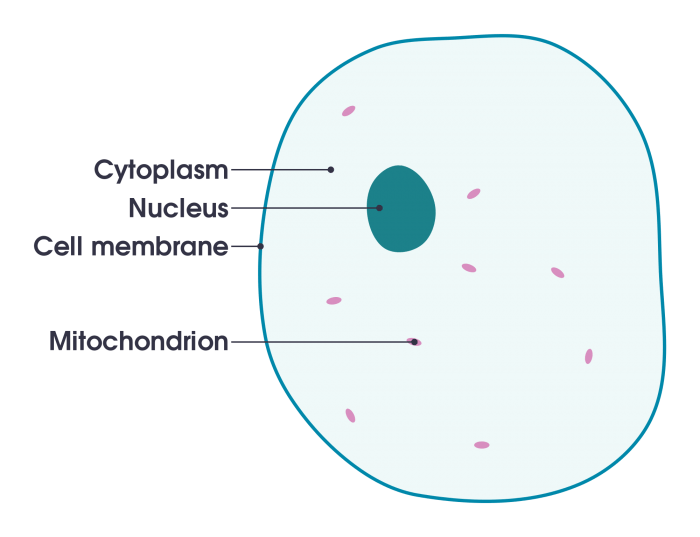 Functionally, vacuoles are simply larger vesicles, and many scientists believe that the fist vacuoles developed from the combination of smaller vesicles. The lipid bilayer serves two main functions: (1) it keeps the enzymatic solution and any solid waste the vacuole might engulf contained and separate from the rest of the cell and (2), the lipid bilayer is selectively permeable, and controls which things go in and out of the vacuole. Since the interior region of a vacuole is separated from the rest of the cytoplasm in the cell, the inside of a vacuole can be used to isolate and remove dangerous substances or entities that may compromise the cells functioning. Observations indicate that vacuole functioning in plants and fungi is more pronounced than that in animals or bacteria. Most plant cells have a single central vacuole which takes up to 30% of the individual cell’s volume and many species of plants have different kinds of vacuoles, each specialized to serve a different functional role. Some species of plant can have up to 4 different kinds of vacuoles, each of which is specialized to perform a different function. In contrast, vacuoles in animals tend to play a more subordinate role, mostly mediating the process of exocytosis and endocytosis. Animals cells tend to have a larger number of individual vacuoles than plant cells, although some animal cells tend to have no vacuoles at all, such as muscle or brain cells. Since vacuoles have a different character in plant and animal cells, they also tend to play different roles in plant and animal cells. In plants, there can be different types of vacuoles, each specialized for a particular function. For example, the large central vacuole in a plant cell performs two major roles, it stores waste and they help the plant remain upright. 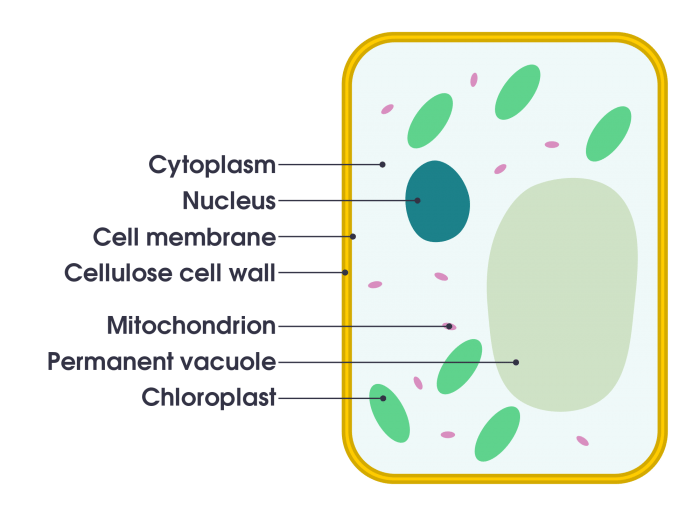 When the central vacuole is full of water, the pressure exerted on the surrounding cytoplasm and cell wall causes the plant to stand upright and remain rigid, as long as it has enough water. Consequently, when the vacuoles are empty of water and ‘deflate’, the plant loses its rigidity and begins to wilt. Other functions of the smaller vacuoles include protein transport to different areas of the cell, and maintaining the pH of the cell’s cytoplasm by controlling the flow of H+ ions in and out of the cell. In many types of fungi, vacuoles play very similar roles to that of the vacuoles in plants. 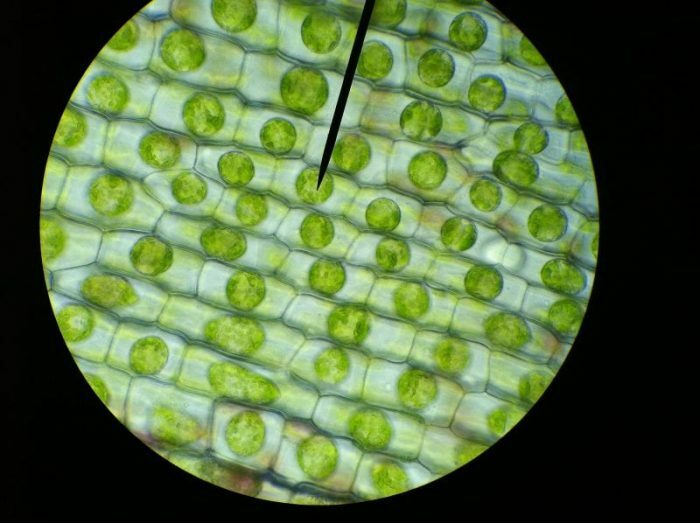 A cross-section of an elodea plant, a common waterweed. Here you can clearly see the central vacuole that surrounds the central nucleus of the cell. Source: Flickr. Vacuoles in animals play a more subordinate role. Animal cells have a larger amount of vacuoles than plant cells, but they are much smaller. 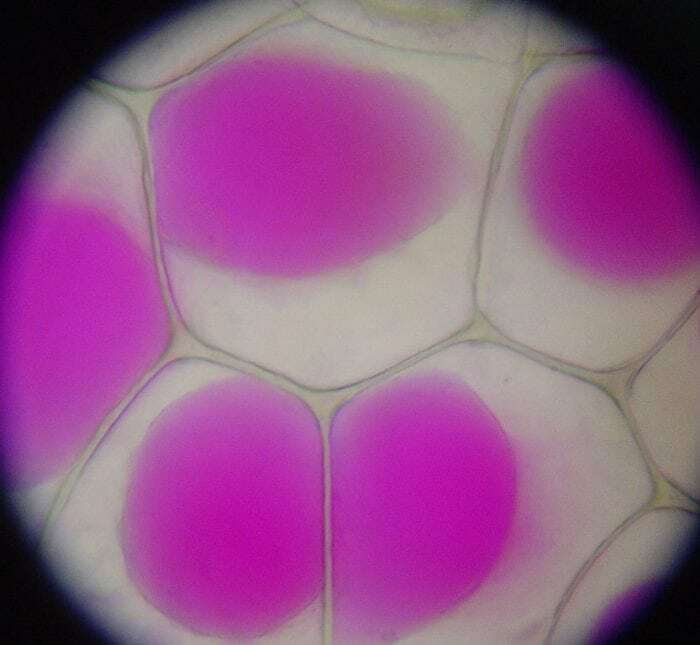 Animal cells lack the thick cell wall that plant cells have, so there is no need for a central vacuole to exert pressure on the surrounding cell. Vacuoles in animal cells mainly facilitate exocytosis and endocytosis. During exocytosis (meaning “outside the cell”), the vacuole engulfs any materials that should not be in the cell and shuttles them to the cell membrane where it diffuses across. During endocytosis (meaning “inside the cell” the vacuoles capture materials that diffuse across the outer membrane, and shuttles them where they are needed in the cell. In addition, animal vacuoles tend to have higher concentrations of lysosomes in order to break down any waster products for removal. Bacteria also contain vacuoles, although they tend to be very simple and unspecialized organelles. Many bacterial cells have a singular central vacuole that can take up to 90% of the volume of the cell. Vacuoles in bacteria are used primarily for storage or nutrients, but some bacteria have developed rather creative uses of their vacuoles. For example, cyanobacteria use their vacuoles as makeshift ballasts. By allowing more gasses into the vacuole, cyanobacteria can modify their buoyancy in liquids. In all kinds of organisms though, vacuoles assist in apoptosis; that is, programmed cell death. During cell death, enzymes from the vacuoles are released into the cytoplasm and essentially eat the cell from the inside. Programmed cell death serves to remove defective or otherwise unnecessary cells from the body to make room for healthy cells. Although both plants and animals (and fungi, some bacteria, and some protists) have vacuoles, their wide range of different characters and functional roles indicate that different species have independently developed vacuoles throughout evolutionary history. Given that vacuoles serve a universally needed function in living organisms, the removal/transport of intracellular materials, it is hardly a surprise that different species separately developed vacuoles to fill their needs. So in summation, the vacuole is an organelle that is used primarily to transport and remove materials from the cell. Most all living creatures have vacuoles, although their functional role may differ from species to species. Without a method to dispose of waste or receive new materials, cells could not function, and so vacuoles play an essential part in the functioning of cells.